Postponing fertility is a relatively new phenomenon. Women are choosing to put off motherhood until later in life, typically the mid to late 30s. Researchers from Italy recently examined the coping styles and issues these young women deal with when they postpone fertility. The study looked at 341 women (median age 34). The women were healthy and in the third trimester of pregnancy. The region where the women lived was known for low fertility and late fertility rates. The majority of the women chose task-oriented coping, directly addressing the fertility issues that caused stress. As the maternal age increased, use of task-oriented coping dropped. Researchers found no correlation between socioeconomic status and coping styles, but they did find that increased maternal age may lead to ineffective coping styles, including avoidance. 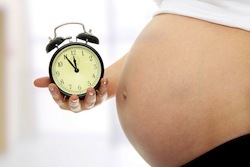 Source: Zanardo V, Messina P, Trivellato P, Cavallin F, Giustardi A, Straface G, Trevisanuto D. Coping strategies in low-risk pregnant women: the influence of low and late fertility. J Matern Fetal Neonatal Med. 2013 Jun 14.